Well the factory is now chock full of goodness! 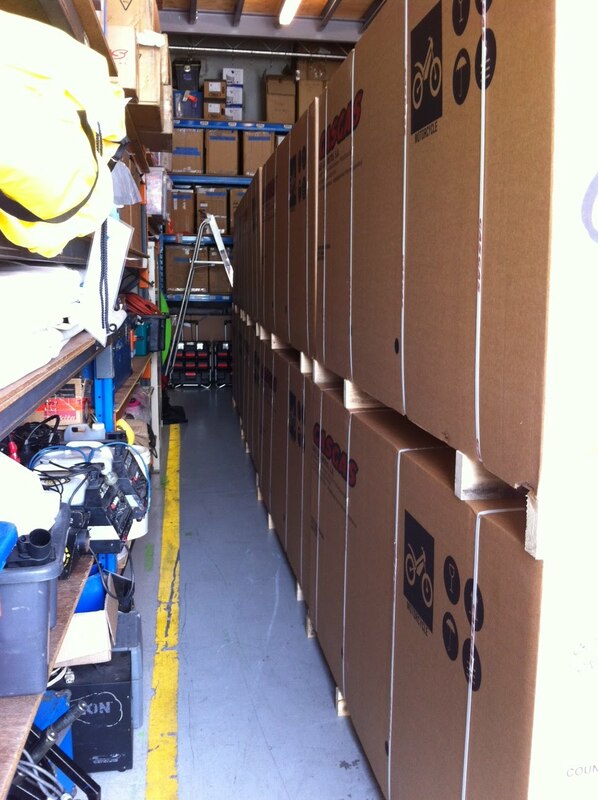 The brand new 2012 Gas gas TXT Pro’s just arrived. 2 high , 3 wide, and front door to bac wall……… sweet. But not for long we start doing pre-deliveries NOW. November 10, 2011 in General Stuff. ← Just check out these cute little mecatecno trials bikes.